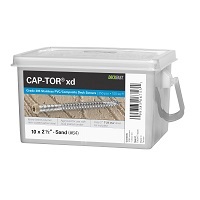 Headcote™ and Captor™ screws are colored to match your fine wood and composite decking. 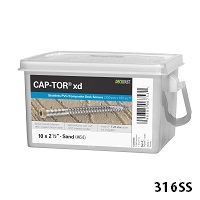 Here is a selection of Captor xd screws for composites. They come in both grade 304 stainless steel and corrosion resistant grade 316 stainless steel for ocean front deck applications. To find colored screws for wood, you want Headcote screws.